I know how you feel – summer is going too fast for me too. But don’t worry! You still have time to enjoy the warm weather and make some great memories this season – and we’re here to help you do that. Ready for some summer fun? There really is nothing like fresh flowers, especially if you pick them yourself. Head to the Pescadero Flowery to pick your own dahlias starting August 2 (an activity the whole family can enjoy). 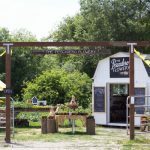 Afterward, swing by the farmstand of R&R Fresh Farms to pick up summer berries, duck eggs, herbs and more! 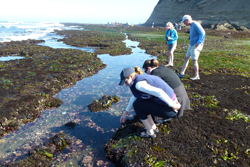 It’s always a good time of year to explore the creatures and treasures of the tide pools at Fitzgerald Marine Reserve, but it’s a lot more fun when it’s warm outside. You’ll want to check the tide times before you go, as it’s best to visit around low tide. On your way home, stop for a cold drink at the Moss Beach Distillery (but be careful, locals say it’s haunted). Join us on Saturday, August 12 for our Family Campout at Little Basin. We planned this event around the Perseid Meteor Shower, which will be at its peak August 11-13. Plus, there will be a new moon that weekend, making it the ideal time to experience this meteorological extravaganza without moonlight interference. 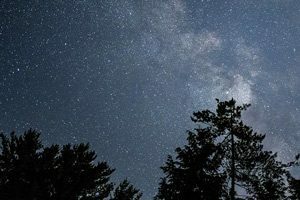 Come for the stars and astronomy program (complete with telescopes), and stay for the family activities, nature walks and campfire with live music! 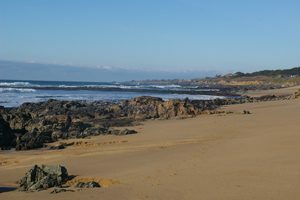 The beaches can get so crowded in the summer, but you can always find solitude at Pistachio Beach just north of the Pigeon Point Lighthouse State Park. On your way home, stop for a slice at Pie Ranch. Bonus tip: If you’re in the area on Saturday, August 18, stick around to experience the lighting of the Fresnel Lens at Pigeon Point from 8-9 p.m. This is the last time the lens will be lit inside the Visitor Center this summer. Bring your flashlight and see this dazzling sight! The Daniels Nature Center is a special feature of Skyline Ridge Open Space Preserve. Your kids will love the live, captive-bred gopher snake, touchable skulls and skins, interactive mural and the critters in Alpine Pond. The short, .5-mile loop walk around the pond is also great for all ages (and strollers). For easy access, park at the Russian Ridge Open Space Preserve lot, then walk through the tunnel under Alpine Road to the nature center. There’s something special about giant redwoods and the feelings of being around 2,000-years-old trees. Summer is a great time to visit these giant trees too, as it will be nice and cool on the forest floor. 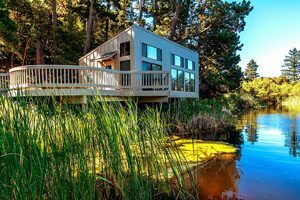 Bonus tip: Headed to Big Basin Redwoods State Park? You can enter the park for free on August 11, if you pick up an admission pass from our friends at Save the Redwoods League. 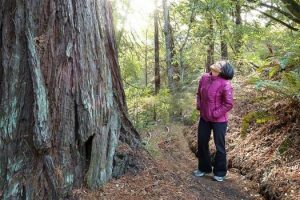 As part of their centennial celebration, they’re offering free admission passes to California redwood state parks for the second Saturday each month of 2018! 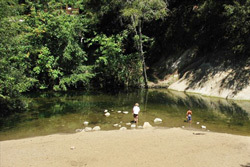 Cool off with a swim in the San Lorenzo River at Junction Park near Boulder Creek. There’s a rope swing into the main pool if you’re up for it and a nice sandy beach to warm yourself in the summer sun. If you’re hungry after your swim, grab a pizza at the Boulder Creek Pizza and Pub – a favorite among locals. Looking for more great summer activities? 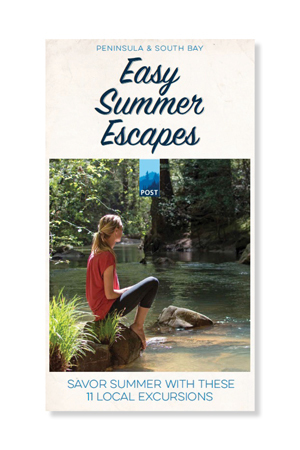 Download our Summer Escapes Guide to savor the summer season!